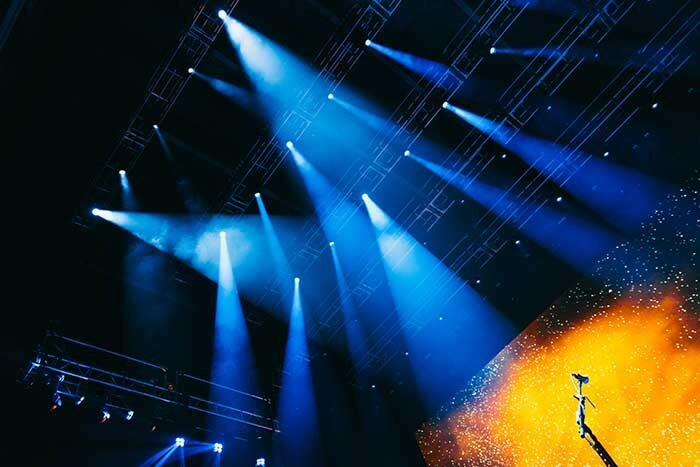 Denmark - As John Mayer travels the world on his four-conintent “Born and Raised” tour, lighting designer Nathan Alves ensures the lavish set is deployed quickly and easily to wow fans beyond Mayer’s renowned guitar playing. Supplied by Upstaging, 50 Harman Martin Professional MAC Vipers and 18 MAC III Quadrays light up the stage for the 9-month tour. The Quadrays were originally slated as MAC III Arifx fixtures, but after a demo Alves was content with the change. The versatility and dynamic shift the fixtures provided, from a frosted, even wash on a performer to its four-beam explosion of light in multiple directions, left his options open to keep up with the high energy of Mayer’s performance.